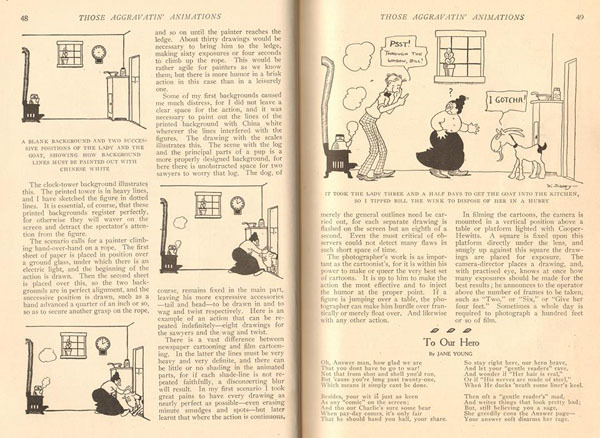 If the name Hi Sibley (1883-1971) is remembered at all today, it is most likely as a popular author of elegantly illustrated books and articles on “Do It Yourself” craftsmanship. 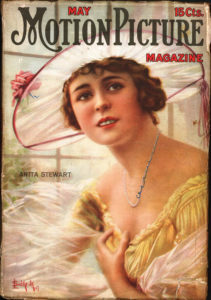 From the 1930s onward, Sibley authored hundreds of articles for Popular Science and their sister magazine Popular Mechanics, as well as other periodicals. When Sibley passed on in February 1971, the editors of Popular Mechanics dubbed him “the dean of do-it-yourself”. His illustrations, which ranged from tight technical drawings to loose cartooning, reflected his early years as a newspaper cartoonist for various papers from his home state of Indiana. Therefore, it’s hardly a surprise to learn he experimented with animated cartooning early in his career. 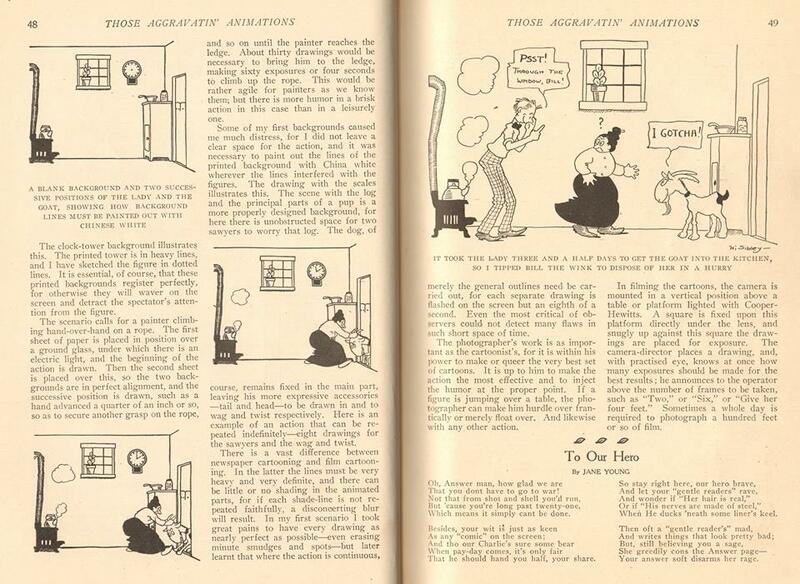 Reprinted below, an article he authored for Motion Picture Magazine in May, 1917 humorously details his attempts at animated filmmaking. The article is quite interesting for several reasons. Sibley details his process for overlaying drawings: duplicating backgrounds and drawing the character action directly on each background, whiting out the parts of the BG that overlapped with character action. Essentially, he was using a variation on the “slash system” popularized by Raoul Barre and other animation pioneers to avoid taking out a pricy license from JR Bray to use celluloid overlays. 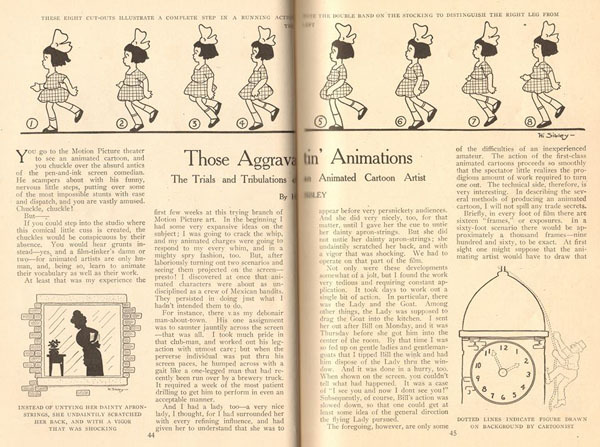 Sibley demonstrates both cut out and fully drawn animation techniques, with some highly appealing illustrations. 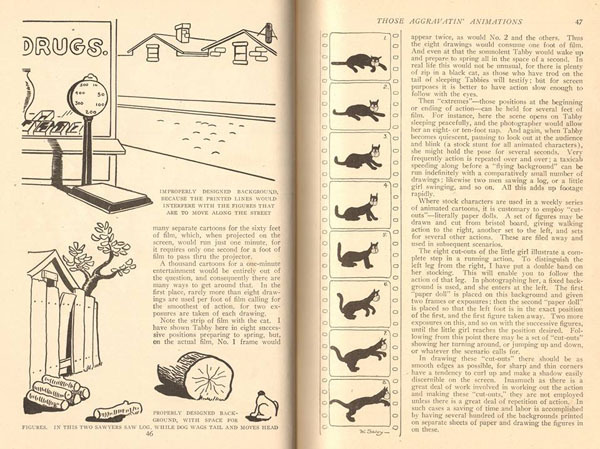 Interestingly, the long, lanky “tabby cat” he’s animated bears more than a passing resemblance to Pat Sullivan’s “Thomas Kat” (a forerunner of Felix), also introduced in 1917. It’s unknown if Sibley completed and released any of his animated works, but given his pessimistic tone here and the fact that none have ever been found to have been copyrighted or advertised, it’s not likely. 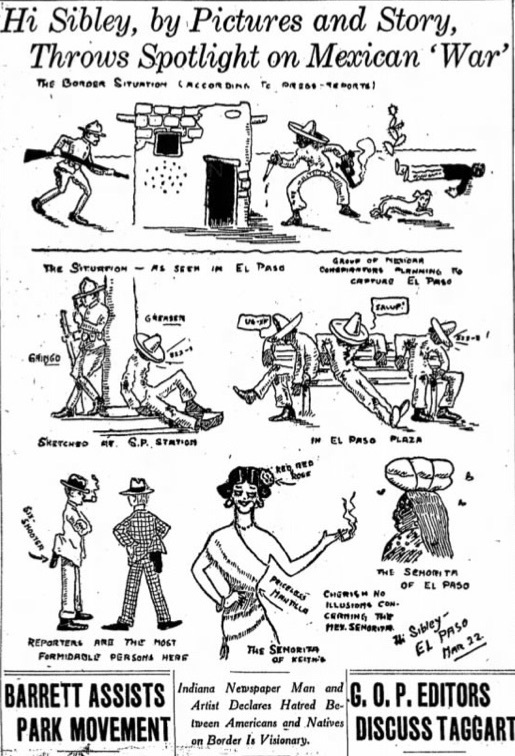 Also to be taken in consideration is Sibley’s hectic schedule at the time this article appeared: between 1915 and 1917 he’d been traveling in France, Mexico and Japan respectively as a reporter and cartoonist, arriving in California from Japan in the end of May 1917. 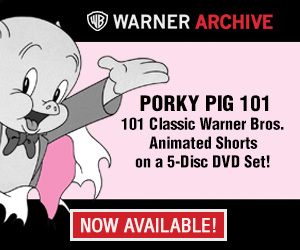 It’s hard to imagine he’d have had much time to devote to something as frivolous and time consuming as animating. 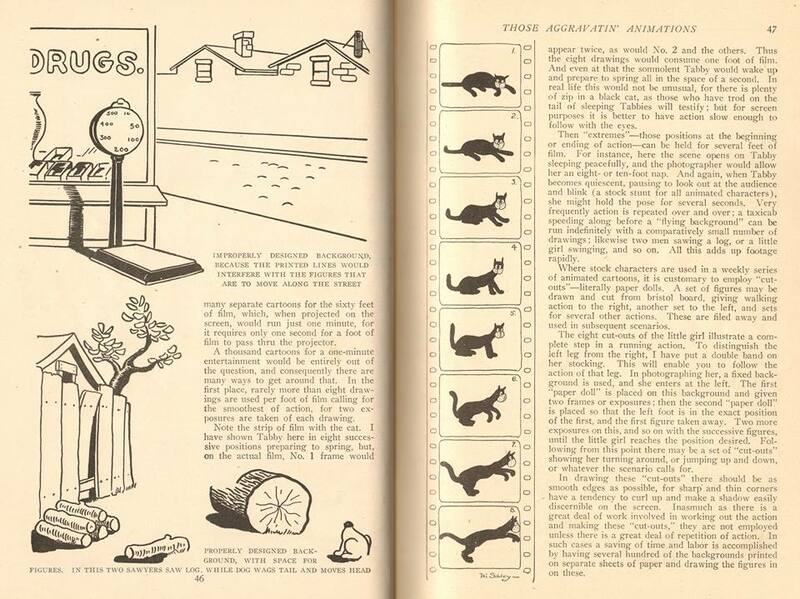 While Sibley wound up making his name as a freelance writer, he certainly retained an interest in animation: penning a second article on how to animate for Popular Science in 1930 as well as a design for a cut out puppet of Disney’s Pinnocchio for the same publication in 1940. Many animation history buffs today are familiar with the work of John Sibley, a golden age Disney animator who specialized in rubbery, virtuosic animation of the studio’s character “Goofy”. I believe he was likely a cousin of Walter Adelbert “Hi” Sibley, although I have not been able to definitively prove it yet. Hi Sibley was born in 1883 in South Bend, Indiana, where his father operated the locally well known Sibley Machine Co. until his death in 1907. 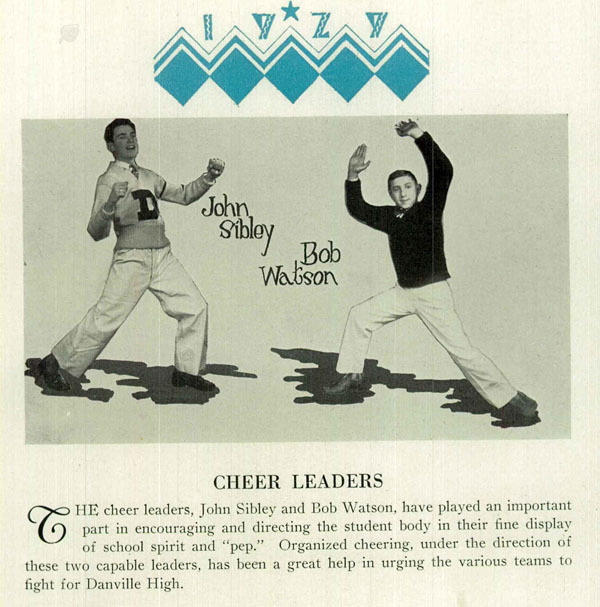 While John Sibley was born in Illinois in 1912, his father Irving Sibley Jr. grew up in South Bend, Indiana where he met and married John Sibley’s mother Bessie E Birdsell in September, 1904. John Sibley’s family was shown as briefly living in South Bend again on the 1914 census, and after John left for California in the 1930s his parents returned there. To me, it seems too coincidental for two cartoonists with the same obscure family name to have roots in the same small town in Indiana…. but hey, you never know! This is very fascinating. Thank you for sharing this, Charlie! Great post, Charlie! I enjoyed reading Hi Sibley’s article. It provided insight into the labor attitude of a pioneering animator, just waking up to how difficult animation could be and longing for better action than the primitive cut-out and shift and trace methods produced. Little actions can often be the hardest to animate, and Hi described how hard it was just to show a woman untying an apron in silhouette without the action suggesting scratching! The cat getting up from a prone position and starting into a walk shows just how little early animators understood about anticipation and accent, squash and stretch and overlapping action. I’d post the actual text here, but that messes up the paragraph breaks; it adds extra blank lines.